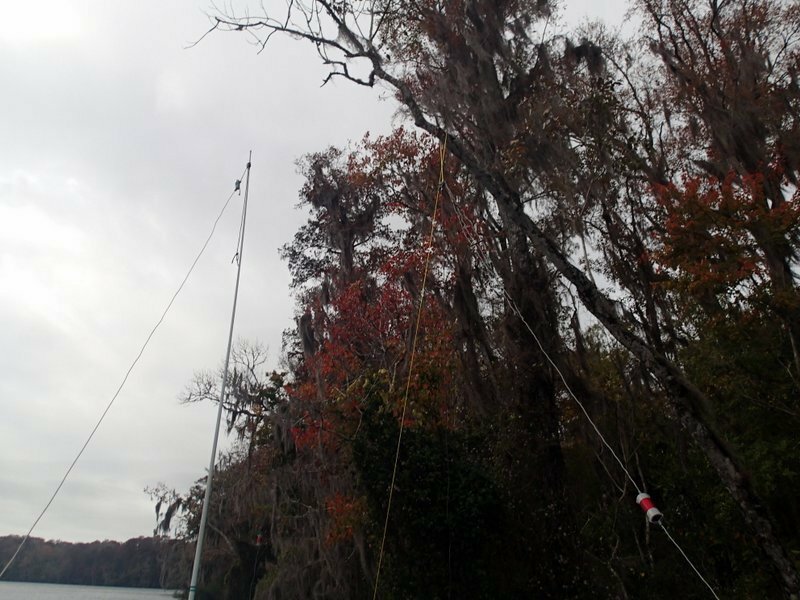 Way down upon the Suwannee River … I bet you can’t say that without singing it! 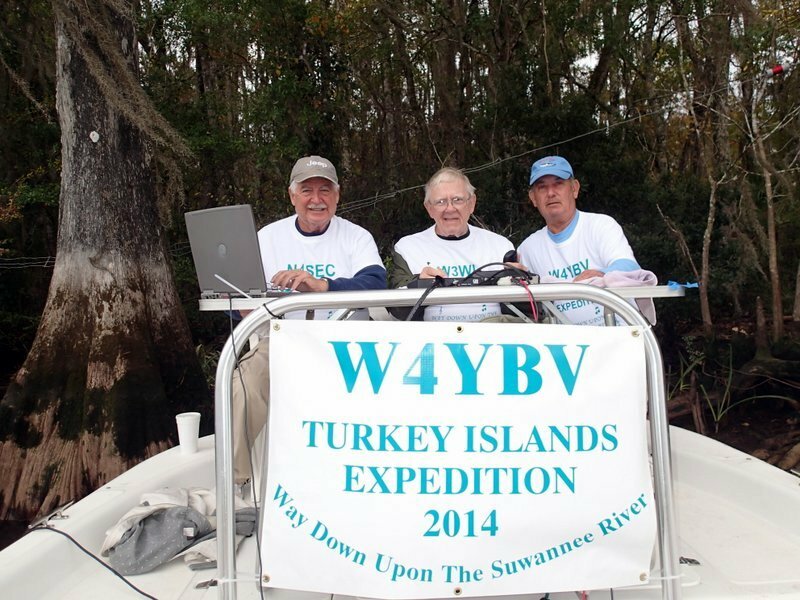 Three NFARL members, Terry Joyner (W4YBV), Wes Lamboley (W3WL), and Jim Paine (N4SEC) set out on November 22 and 23 from Steinhatchee Florida for fun and a good time with ham radio by making contacts from the Turkey Islands on the beautiful Suwannee River in west central Florida. 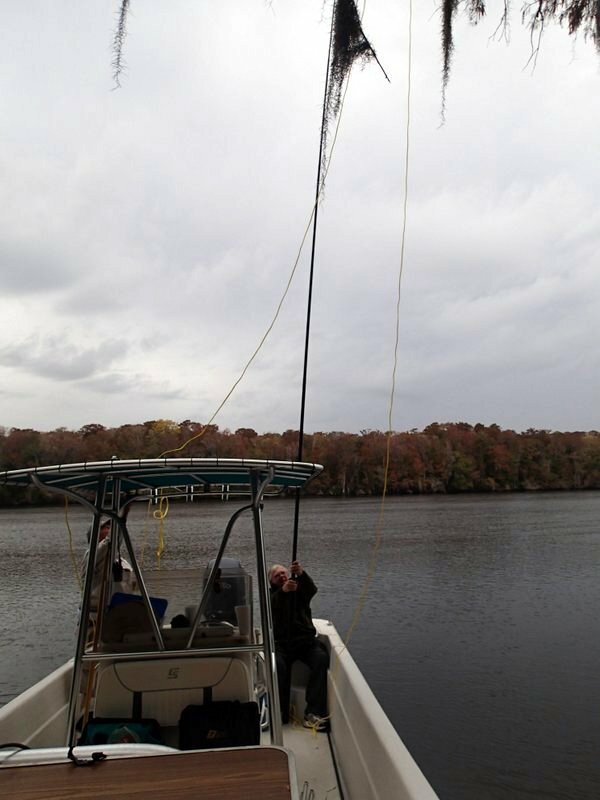 The Micro-DX-Pedition operated from Terry’s 26 foot center-console boat and wire antennas were deployed on the islands. Although the antenna installations weren’t “Pretty”, they managed to work quite well. The two islands were successfully qualified for the USI awards program and assigned numbers FL 496R and FL 497R. Even a little rain and wind each day didn’t dampen the spirits of the team! 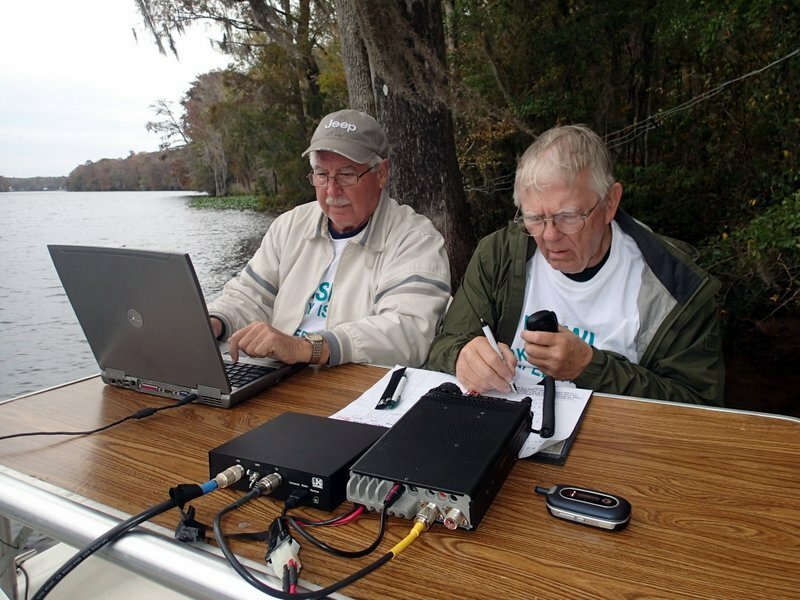 Over two days 168 contacts were made with other ham radio operators in 40 states and 11 countries. What a great way to spend the weekend before the real turkey day!